Interactive installation interpreting live the stock market variations, varying dimensions. World rates of oil, wheat, bitcoin and sugar. 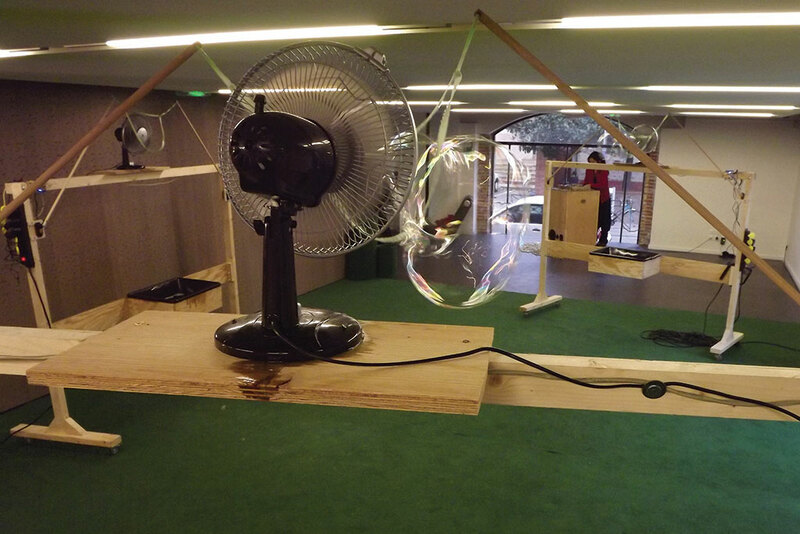 Average indexes of armaments and pharmaceuticals, Raspberry pi, wooden mobile structures, Arduino cards, servomotors, fans, bubblers, soap bubbles, troughs, carpet. Stochastic won the Defi Data + Jury Award, 2014.. The Stochastic project echoes stock market pressure that generates government debts and the insidious violence of rules imposed on entire countries by unbridled finance. 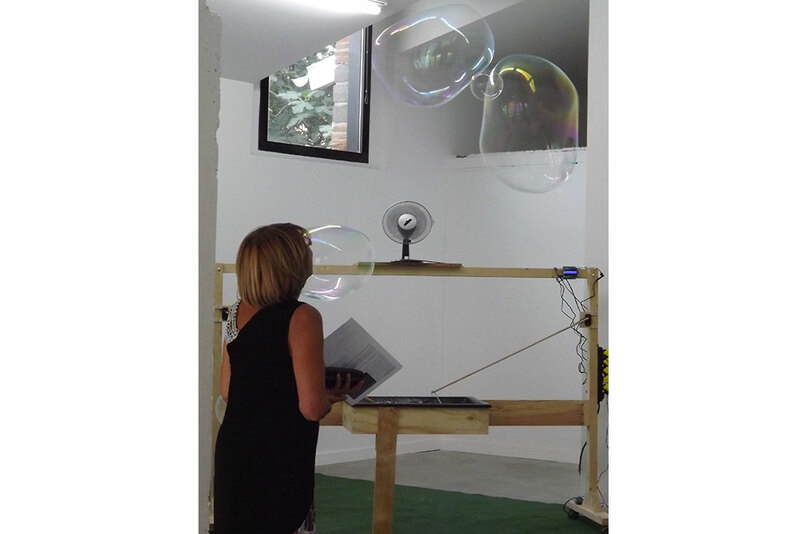 Stochastic is an interactive installation that reads and feeds on market fluctuations to then generate a mechanical soap bubble ballet. 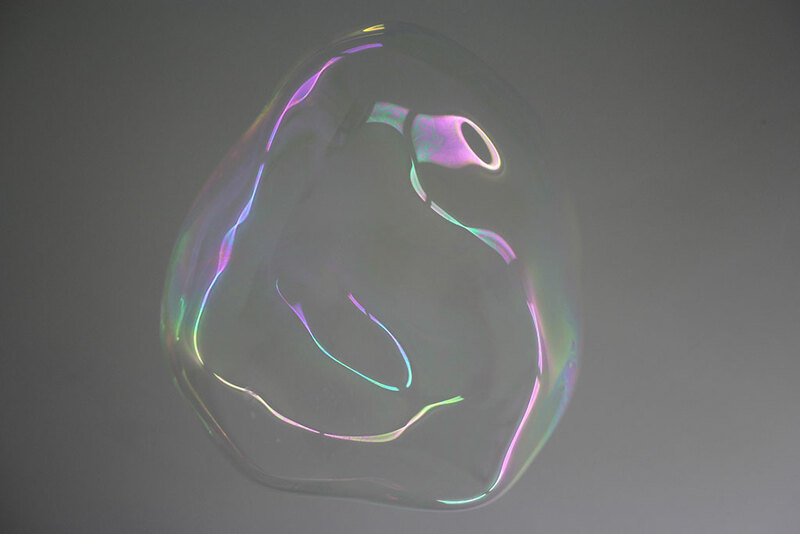 Five bubble generating machines are connected to the stock market and create bubbles of different size and shapes according to inflation and deflation. Each machine interprets the variations of a specific line of business : wheat, oil sugar, bitcoin, armament and pharmaceuticals. 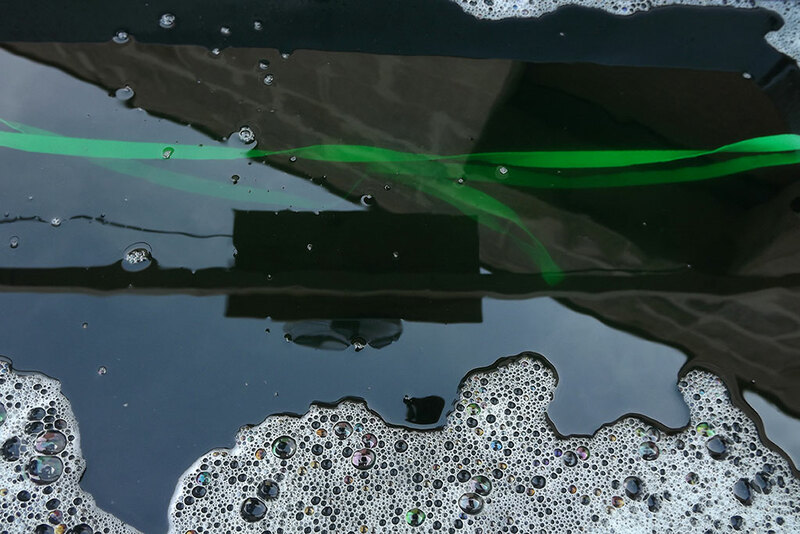 Data is taken online and converted in order to modulate how long the soap soaked ropes will stay in front of the fans. 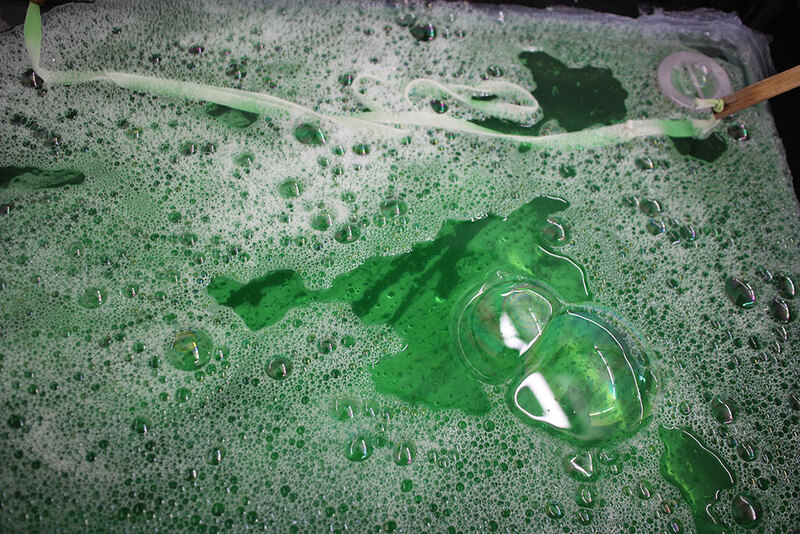 These bubbles dance, graze, collide, merge, aggregate or avoid each other. The hermetical world of stock charts is translated into a tangible and engageable portrayal of the state of Earth. Cash-flow becomes a multiple combination poetical ballet. 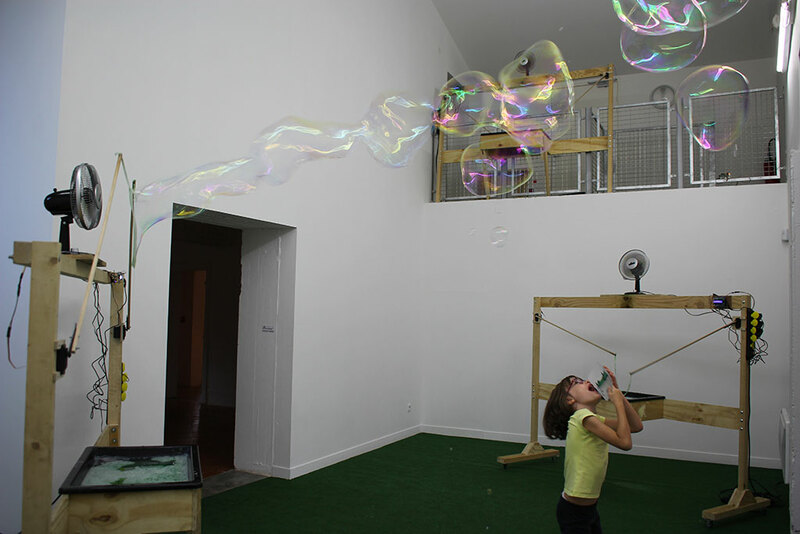 Inspired by open source aesthetic and participatory economy, built under creative commons, Stochastic machines are reproducible. 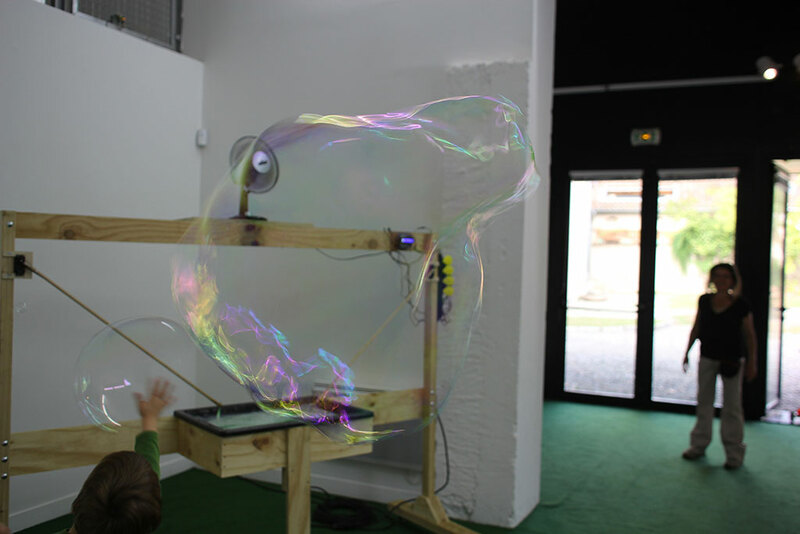 A document containing blueprints, schemes for arduino shields, software and recipe for bubble liquid are available for the visitors during the exhibition.